The UK Public Affairs Council register is set to be overhauled following widespread criticism from within the industry. The voluntary register went live in March 2011, combining the quarterly registers of the Association of Professional Political Consultants and the PRCA, and including CIPR lobbyists. UKPAC has previously admitted 'teething problems' but has vowed to tackle the issues. However, the process has proved more difficult than anticipated and UKPAC is now searching for an IT specialist to work on the register. It is understood that a pitch process is already under way. A spokesman for UKPAC said: 'We have reviewed the needs and requirements of the UKPAC register in view of persistent technical difficulties and the need for a specialist to manage the data stream, to ensure the highest possible level of accuracy and transparency. The Government pledged to implement a statutory register of lobbyists as part of the coalition agreement thrashed out last year. The UK public affairs industry had hoped to influence the final scheme by setting up a workable register that would serve as a template. However, serious questions have been raised about the accuracy of the register to date. Days after the launch, Labour MP Austin Mitchell tabled a parliamentary motion claiming the register was 'riddled with errors, omissions, inconsistencies and reductions', and invited the Government to bring forward legislation to regulate the lobbying profession. Leaked minutes of an APPC management committee meeting in April showed how the register was criticised for 'significant errors, both in the omission of 15 APPC members (since corrected) and within members' entries'. 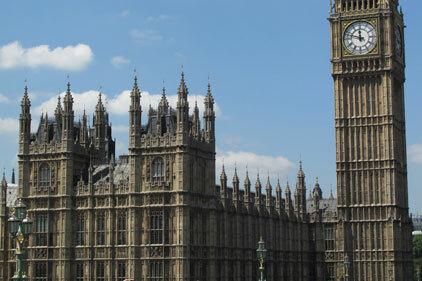 With the Cabinet Office due to issue a consultation on a statutory register after the parliamentary recess, senior lobbyists welcomed the move to bring in a new IT provider.